King's Lynne Apartments takes pride in offering exceptional living. Your spacious new home is surrounded by 58 acres of secluded, awarding-winning, landscaped grounds while remaining close to all that the North Shore has to offer! From the moment you walk through the front door you will feel the comfort and security that makes our residents happy to call us home. Attractive amenities, award winning landscaped grounds and a dedicated staff contribute to a higher standard of living. 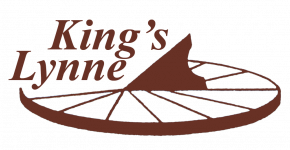 There is something for everyone at King's Lynne, convenient shopping, a variety of restaurants, local schools, parks and museums are all close by.